Amazing slots machines with all of the Vegas casino features you love - Wilds, Free Spins and Bonus Games! What's New? Sloto Cards are back! The second album of Sloto Cards is now available in the app! Collect even MORE FREE COINS with more fun & excitement! Spin the reels and collect your Sloto Cards as you play! Complete sets to get AMAZING rewards! Get ready to receive HUGE prizes! New! Wheel of Stars - Turn Duplicate Cards into Coins! ✩ Thrilling casino slots features - Mega Symbols, Sticky Wilds, Free Spins and Re-Spins! 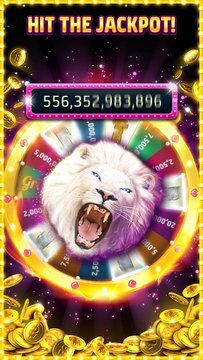 ✩ JACKPOT - Amazing Casino Style Jackpot Bonus with extra high prizes! ✩ Play Casino Slots with your Facebook friends! Send them free coins and beat them in our special live slots tournaments! ✩ Playtika Rewards– our exclusive casino slots VIP program! The best loyalty program where you earn big rewards for your loyalty and ongoing casino slots game play - Bringing the Vegas casino slots experience to the palm of your hands! Play For Slotomania Casino Slots for FREE while you experience the Vegas casino fun! 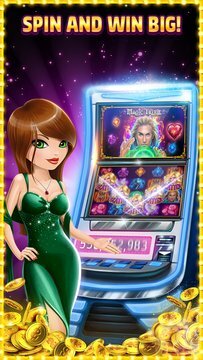 Just SPIN & WIN BIG with HUGE 777 casino slots wins! Play now!